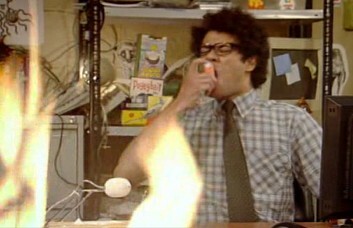 The IT Crowd is a great new TV show that reminds me a little of Fawlty Towers, but with IT geeks instead of hotel owners. Dr. Who - haven't seen the new version yet. Blackadder - Rowen Atkinson is a genius, but I never fell in love with the series. Monty Python - have to mention the flying circus.